The inspiration for this piece was a photograph of a village in the mountains taken whilst sightseeing. I chose to work with the colour blue because it’s a colour I normally avoid, preferring to work with turquoise. I used tints, tones and shades (not quite as dark as I had hoped) of hand dyed fabrics. The appliques were stitched with free motion straight stitch and it was finished with free motion quilting. I love those trees, popping up against buildings and sky. it is fascinating to see a blue, monochromatic take on a landscape, as well as to get a taste of what Oman looks like. Turning everything blue makes one look at the shapes rather than the colours. What a beautiful interpretation of the theme Gaye. I love the landscape in blue. So happy you’re “with us” again. Thank you everyone. It was something different for me. I’m going to try and create a small Omani series for this year. A new challenge. I love this quilt, finding it so interesting that you have produced a landscape in shades of one colour, a very interesting idea. I think I may try this myself. 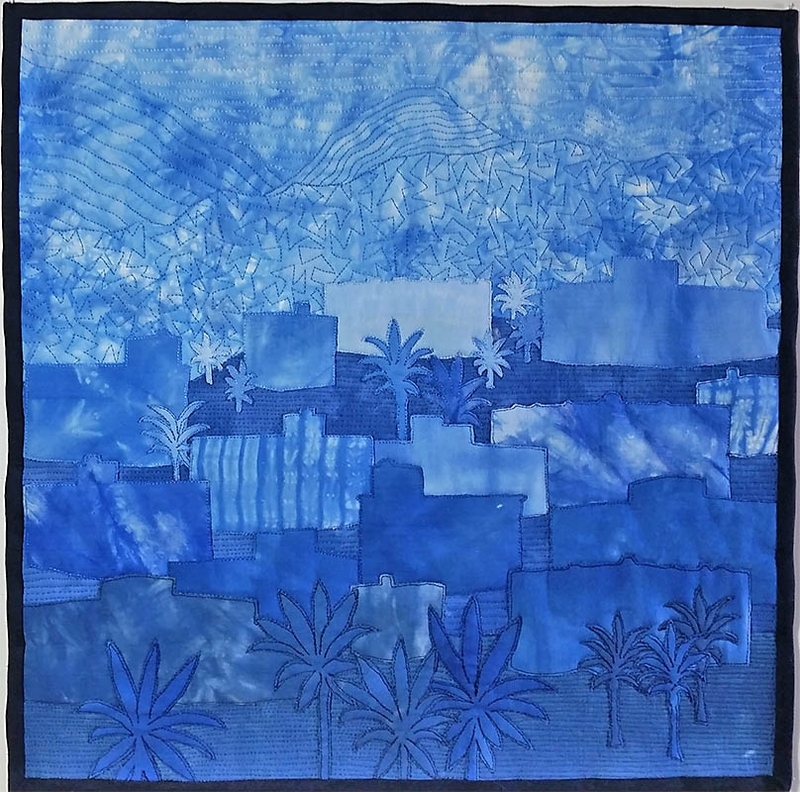 Gaye your quilting is always a delight and the way you have used it brings the mountains into focus and as already mentioned the way you have used the blue shapes is also a credit to your talents as an artist. Do we have a series in the making? 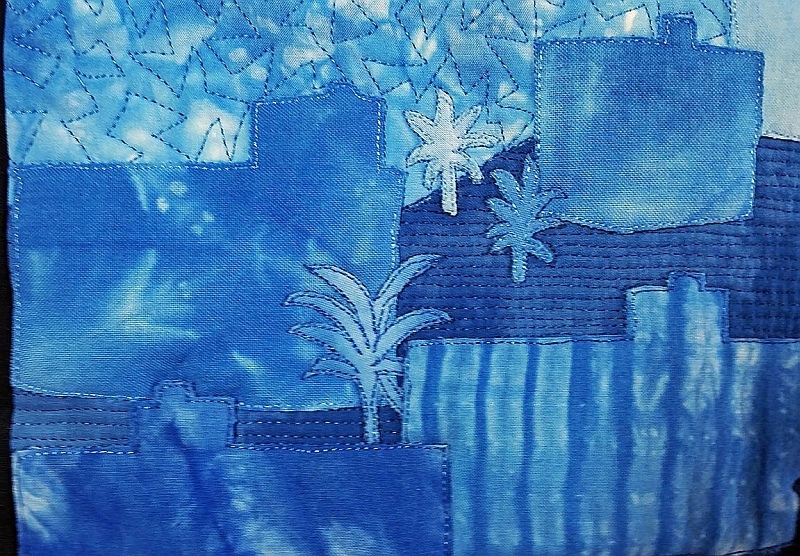 I can just see the landscapes of Oman, a wonderful way of interpreting them, great use of colour and stitch. It si so nice how you used simpel shapes to create a village. I love your background quilting!